We’re also excellent at meeting tough deadlines, so if you need a custom control panel solution right away, Control Panels, Inc. will provide you with the superior workmanship and quick turnaround time you require. At Control Panels, Inc., we understand how important it is for our clients to be able to rely on their control panels and other essential electrical components 24 hours a day, 7 days a week, which is why we take special care to ensure our products meet stringent quality standards. Each panel is inspected and tested prior to shipping; and as a UL 508A listed panel shop in both the United States and Canada, we can have our panels CSA-inspected prior to shipping if needed. Contact Control Panels, Inc. to learn more about our custom control panel capabilities and to request a quote. Electrical components can be damaged in a variety of ways, so it is important to have an installer like Control Panels, Inc. nearby that you can trust to make the necessary repairs quickly, thoroughly, and professionally. 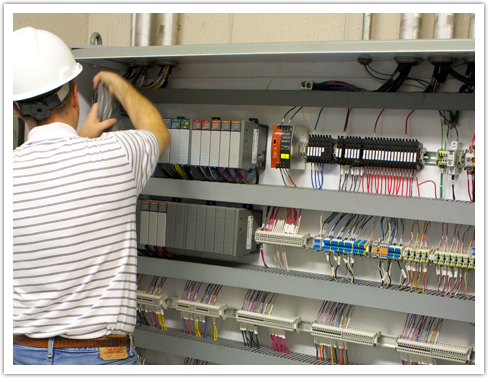 Even if we didn’t install the original system, our team is happy to service and repair your existing control panels. Whether you’re in the market for a single cabinet system or a complex infrastructure of junction boxes and push button stages, we can help. 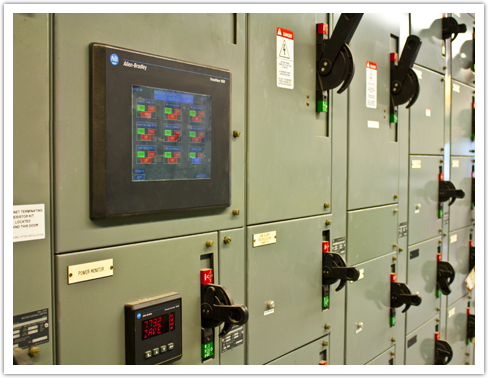 Contact Control Panels, Inc. to learn more about our custom control panel capabilities and to request a quote.